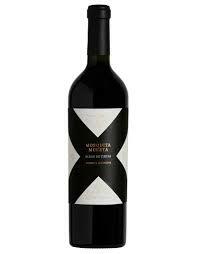 The red blend 2013 Blend de Tintas has aromas of herbs and ripe berries intermixed with an earthy touch. It's a Malbec-based blend with some 30% Cabernet Sauvignon and Cabernet Franc in similar proportions. It fermented in open top oak barrels and egg-shaped cement vats. 2013 was a cool year and produced wines with good tension and a perfect, slow ripening. Both the palate and nose showed that freshness, with acid berry aromas and nicely integrated oak. The palate is medium-bodied, refreshing, tasty and easy to drink. 4,500 bottles produced.